By Heather Nicholson on February 16, 2013 Visit Heather's Website. Do you want to save money on your feed bill? Do you want better feed conversion, stronger shells, shinier feathers, and healthier birds? If you are willing to do a little extra work, you can ferment your chicken feed and reap a bounty of rewards. Fermented feed is any chicken food that has been moistened, inoculated with beneficial bacteria, and allowed to ferment. It contains lactobacillus, acetobacter, and yeast. The bacteria begin to digest the food. Basically, fermented feed is natural probiotics for chickens. Read more about what lives in fermented feed here. Chickens know the good stuff when they eat it! Fermented feed reduces pathogens and disease in the digestive tract. It is used commercially in places where antibiotics are banned because it reduces the prevalence of disease in the flock. Where birds are used for their meat, contamination is less likely. The good bacteria out-compete the bad and create an acidic environment where pathogens cannot thrive. The fermentation process also makes nutrients more available. Because the feed is wet, the chicken’s intestinal villi grow longer and have more surface area to uptake nutrients. Fermented feed increases the weight and thickness of egg shells, and it help to convert food into meat and eggs. You can read more about the research behind fermented feed here. Anecdotally, fermented feed also reduces the smell of chickens’ droppings, a valued benefit when raising meat birds. Others have noticed increased overall vigor and shinier feathers. If you aren’t convinced, just ask your chickens. Chickens go crazy for fermented feed! How do you ferment feed? You can ferment any kind of feed. Place the feed into a bucket and cover with declorinated water. You can easily dechlorinate your water by leaving it in an open container overnight, filtering, or boiling. Allow boiled water to cool. Add a few tablespoons of liquid containing a bacterial culture, and give it a good stir. The best start is from apple cider vinegar with the mother. You could also simply allow the native yeasts and bacteria in your air to populate the feed naturally. However, as in sourdough starter, there is always the chance that you will catch something nasty and have to start over. You can also add greens, dried alfalfa, kelp meal, beet meal, or any other chicken food to your mix. Look here for a list of foods you can ferment for your chickens. Make sure the mix stays very wet. You may want to cover the top with a dishcloth and a rubber band or pantyhose to keep flies and pets out. Allow the feed to ferment for about three days at room temperature before feeding, perhaps less if you are using liquid from an older batch. It should smell sour, like sourdough bread. That lets you know you have passed the yeast-dominated phase and entered the desired bacteria-dominated phase of fermentation. Your ferment may grow a cap or “mother” on the top – just stir it back in! White caps are a good sign. There are many ways to manage your fermented feed. You can use a two-bucket batch system. Drill holes in the bottom of one bucket and place it inside another. After you’ve fermented, lift the inside bucket and allow excess water to drain into the other bucket. 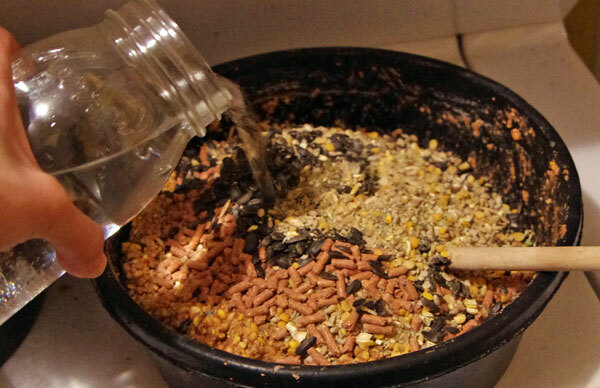 Use the drained food, and begin again by adding extra water and feed to the leftover liquid. In this system, the liquid is reused but the feed is new in each batch. To allow each batch to ferment for about three days, you would need to have several sets of barrels to use in turn. You can see the small batch system I used for a while here. You can also use a larger tub or barrel and carry over both liquid and feed. Add your feed to a large bucket and add your water and culture. Use a slotted spoon or scoop-sized strainer to scoop out food to serve to your chickens. Add more water and feed, and stir. This is the system I am using now, pictured here. Fermented and nutritious – some would say delicious! Fermented feed helps birds to gain more weight, lay heavier and stronger eggs, and increase how much production you get out of a bird compared to how much feed you put in. If you process your chickens, there will be less risk for contamination and the fermented feed might reduce their risk of carrying some harmful bacteria in the first place. Even if you can’t ferment your feed, you can always get some of these benefits by mixing water into your feed to create a wet mash, but your chickens will thank you if you give fermentation a try! Read more about fermented feed on Scratch Cradle! I tried fermenting our chicken feed and they loved it! My question is how much of a cap or “mother” is ok? What temperature should the mixture be kept at or between? My mixture just seemed like it was growing a thick cap or almost like it was molding over night or from morning til night? I was hesitant to keep stirring it in and put the fermenting on hold until I could clarify if it was still good or not. Look forward to a response. I wonder if baking yeast can be used in place of the bacterial culture. Apologies for the autocorrect errors. I’ve been using spent brewer’s grain for about a year now as a direct feed supplement. During the winter especially, my chickens love it. If held for a day or two in a bucket, the grain goes quickly goes sour. 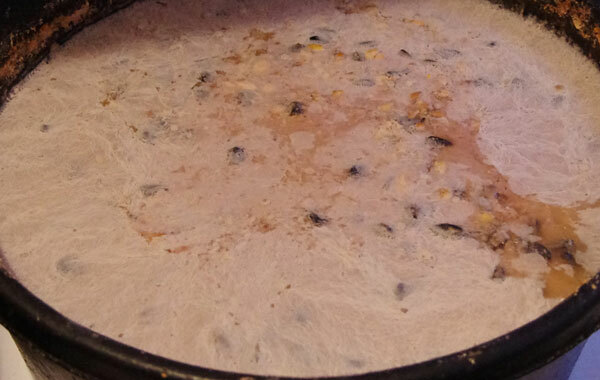 One would think that that is fermentation, but given that the brewing process extracts sugars from the barley, is it possible that we’re actually dealing with rot and the chickens ought not be fed the grain at that stage? Thanks for your insights and this post. Indeed fermented feeds are the best natural pro biotic feed for chickens. Thankyou for the DIY tips on how to prepare them. Been researching for a while in google and I was led to your site. Thankyou this is a great find. When I had my chickens I used to feed them Yogurt and they would go crazy over it. I also gave them the SCOBY which is the mother for making kombucha tea and they would eat that as well. I never thought of fermenting there food. If you are considering saving money on feed look into sprouting grains. There is a lot of information on sprouting food my chickens loved. OK – this all sounds GREAT! We don’t have chickens yet – we are researching for the type that we want to start with. (4H embryology project). I am really glad to find this idea for fermenting their feed – I have really been hoping to find a way to increase the nutrition for them. Is this somthing we can do with the chicks as soon as they are hatched? If we use the 3 day cycle buckets, do I just put into a bucket the amount of feed for one days feeding? Then use the next set of buckets feed for the next day and just keep the cycle going? We are in town, with no fencing, so they will have to stay in a run of some sort. I am hoping we can manage a portable enclosure, so we can move them around and let them get some grass bugs too. I like this idea, I tried it a couple of years ago with the Cornish x chicks they loved it. I only let it sit for a day, so it wasn’t fermented. Gonna try this in the basement if it doesn’t smell too bad! The feed ingredient label has listed several different fermentation products. Why so many? What are their different benfits? 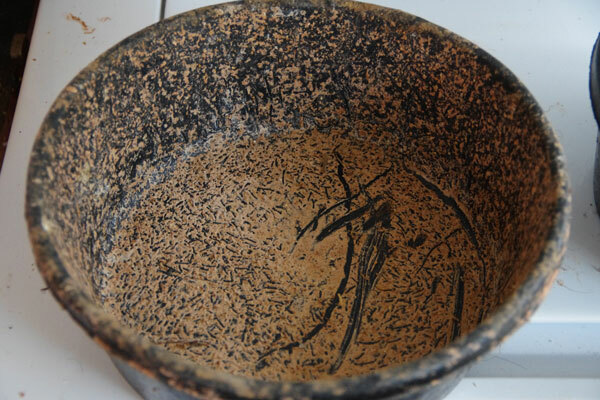 Dried aspergillus oryzae fermentation extract, dried feremtnation product of lactobacillus casei, plantarum, enterococcus faecium, coagulans, licheniformis, bacillus subtils, etc…. Why so many different kinds and how do they compare to home fermenting of feed? do we need to add antifungal in the feed ? You can’t dechlorinate your water by letting it sit if the form of chlorine used is choramine. That has to be filtered out. If you collect rain water, that’s not chlorinated. I use water out of the tap and it has chlorine. Its not a problem for me. Can I do this outside on my covered porch? What temps does it need to be maintained at? I’m in MD so we’ve had temps from 50’s to 90’s. How old do your chicks need to be before feeding this to them? Should I ferment their starter/grower feed? I have a barrel of dry pelleted chicken feed that has mold on it. Is it safe for my chickens to eat, and can I ferment it also? Real mold can harm chickens. Throw it out. Do you ferment regular layer pellets? My neighbor “across the ridge” and myself have a question. After reading your fermenting instr. I sent the info to her. Both of our batches have formed mold on top. Is that what you are referring to as the “cap”? We are both curious about this. When I noticed the mold I started a new batch and gave the old batch to my flock of wild turkeys. They went nuts for it! Yes, that “mold” is the cap. Stir it in. I have always read that mold is bad. Mine was always just bubbly. Does it smell like sour pickles? It should! Not sour clothes or rotting food. It may have molded instead of fermenting… I guess you have gotten it figured out by now though. Just saw the date. I’ve just started fermenting this week. It seems like they can’t get enough! About how much should I give each chicken? I have about 35 hens, & 30 pullets (about 2 mo.) They are separated and it seems the pullets are eating more. Could I use sourdough starter to get beneficial bacteria started in the grain mixture? 1) If my flock doesn’t eat all the fermented grains in the first 30 min or so (as you said they will eat less of damp grain) is it safe to leave out all day long? If by chance they don’t finish it in one day, is it ok to leave what remains out overnight? Or let it dry out? I don’t want to feed my girls mold! 2) When using ACV with the mother, do I have to make sure some of the mother is used, or is simply pouring the ACV into the mix sufficient? I don’t currently have chickens, but I’m going to tell a lady about it who does. So how exactly do I get a “mother” started for the first batch? You said at the beginning that it saves money on your feed bill. How exactly does it to that when you are using your feed to ferment? Also, if you get spent grains from beer making, do you just feed that directly or do you ferment that too? It saves money because typically, whole grains are less expensive than commercial feed. I use a 5 gallon bucket, fill it up halfway, add water to brinng it up to about 23 rds full. It expands. I started feedinng it the next day, just using a plastic sieve. Even after 1 day of soakinng it improves the grains protein content. Then each day, I add more grains & water. Usuallyby the 3rd day, I can smell the sour smell. I don’t usually change any water, just keep adding to the bucket. It can get pretty “rich” smelling. If that bothers you, dump out all the old water, just leave a little to help jump start the new batch. Keep the bucket covered if possible. Chickens love it. It can be time consuming. That is the only con. The only other con I have was my Sikies always had wet heads from dunking…other large breeds without top crests kept cleaner. I do give them added vitamins and occasionally add alfalfa meal & fish meal to make sure they are getting all the vitamins, etc. they need, just in case…. I forgot to say, I don’t add vinegar or any starter. It works just as well from the bacteria in the air. Has anyone tried this with whole grains and seeds. I do not feed scratch or chicken food, I feed whole grains and seeds, mostly sprouted. I ferment whole grains, too. It takes longer for the water to soak through larger grains, but they can and will ferment eventually. Use a lot of water and let it ferment until you get that sour smell. IS THIS GOOD FOR DUCKS AS WELL? I ASSUME THAT IT IS. CAN YOU USE A HUMAN PROBIOTIC TO START THE FERMENTATION PROCESS? THANK YOU. GOOD LUCK EVERYONE. I have never tried a human probiotic. I think that many of the strains in a human probiotic would be appropriate for fermenting feed, but there are many different cultures in one pill and the combinations vary by brand. You could certainly give it a try, or you could just let your feed catch something from the air. I make goat milk Kefir and my chickens love it. I don’t give it all the time, just when I have too much Kefir and we can’t use it all. All of my animals get Kefir from time to time. Even my baby goats that are bottle fed get a dose of Kefir in their milk. Depending on what you choose to ferment, it can be an occasional treat or their main ration. If you ferment your regular feed, it can be their primary food. If you’d rather just dabble and feed it occasionally, they will get a benefit from that as well. The research I’ve read all used the fermented feed as the primary ration. I never considered fermenting for chickens, but was going to try simply sprouting grains. Both make nutrients more available, and sprouting gets rid of some of the antinutrients as well. Give them both a try! Spent brewery grains? Ok for birds to get buzzed? Yes, brewery grains are great to feed to chickens I have done it often. Thank you very much for the information! I’m going to do this! Do you allow the fermented feed to dry or feed it to the birds while it’s still wet? Also, is this something you do occasionally, like once or twice a week or is this all that your birds eat? 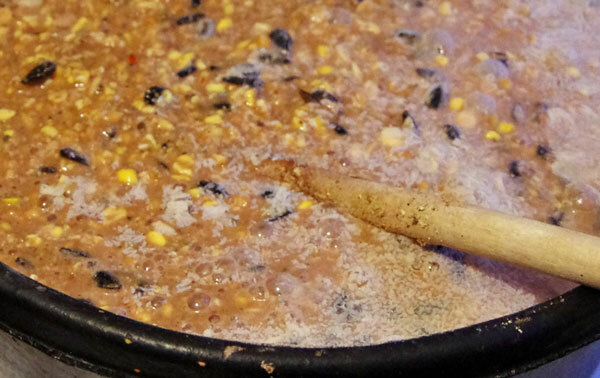 Drain the liquid from the grains, but the do not have to be dry. Thanks, Anonymous! Yes, you drain the feed, but the liquid is fine for them, too. I usually drain it but don’t worry if it is still a bit runny. Many people ferment all of their feed and feed it exclusively. I leave out dry feed “free choice” and feed the fermented feed once each morning. When I was first getting started, I used it as a treat. What is most important is that they are still getting their full ration, fermented or not. I’ve fermented accidentally in the past, and the chickens have loved it. I’ll try doing it this week with both of my flocks… thanks for the great info! That’s great, Mary! What a happy accident! Definitely give it another try! how about kombucha tea, using that mother to start? The kombucha culture does have one of the yeast cultures which has been researched as well as an acetobacter which creates acetic acid. It should work, and in the comment above, Robin also uses this method. It would be great to introduce some lactic acid bacteria, too, if you can, but it may very well pick it up from the air anyhow. I am so excited about getting more probiotic into our own family’s diet, so we drink a lot of kombucha and kefir. I have fermented my chicken feed with water and a good amount of kombucha. They do absolutely LOVE it and I know that they are getting good bacteria/ and probiotics too. Thank you so much for the article! It is exciting to hear other people going against the grains. Can you use yoghurt or kefir for your starter? I’ve heard of that being done before. Both have a form of lactobacillus, so you will get that beneficial lactic acid which pulls down the pH. 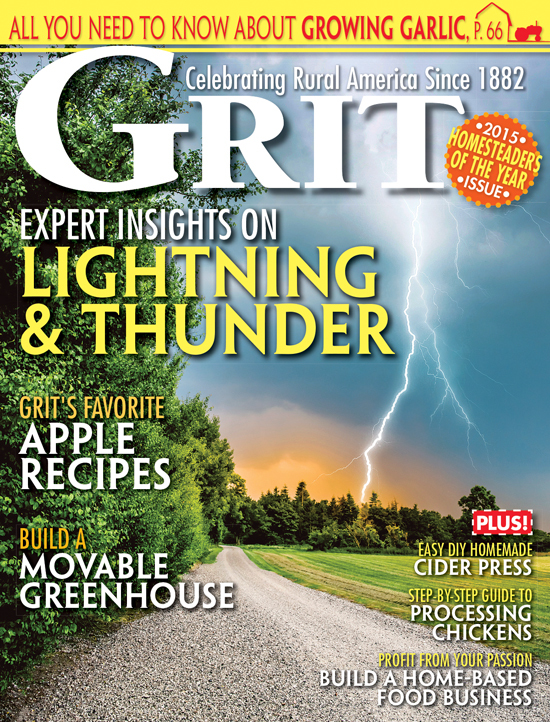 Great article.We used to ferment feed for our pigs and chickens loved it. I never thought of fermenting chicken feed. Can’t wait to try it. Thank you! I use apple cider vinegar with the mother. I started with a bottle of Braggs a long time ago. I buy big jugs of the regular apple cider vinegar, pour in some vinegar with the mother, and let it go for a month or so. I use that ACV in their water, and I also use a few tablespoons when I start a batch of fermented feed. Then, I just keep adding water and feed, and the culture keeps going. If you’re interested in learning about the different bacteria, yeasts, and molds involved in fermentation and which are desirable, take a look at this article on my blog: http://scratchcradle.wordpress.com/2012/09/30/microorganisms-at-work/. Oh, and you don’t need to pay a lot for a commercial “biopod”, any container will work. Lay something solid on top of you compost or fermented feed and the larva will congregate under it and you can just scoop them up with you hands. They can be frozen in ziplock bags or plastic tubs for later use. Anything that eats insects will love them – reptiles, birds, hedgehogs, turtles, fish, etc. Love the article, just one question. What do you use as a starter?